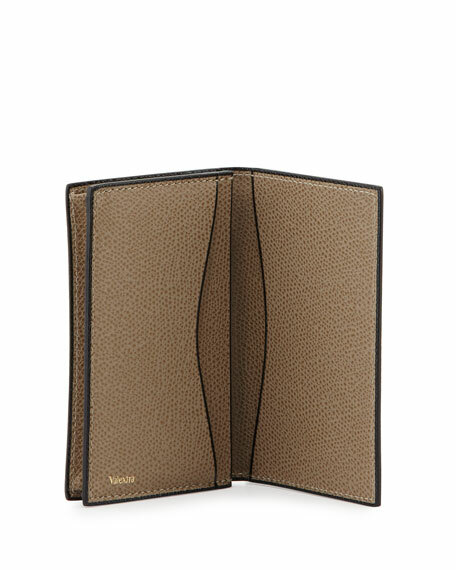 Valextra textured calf leather card holder. 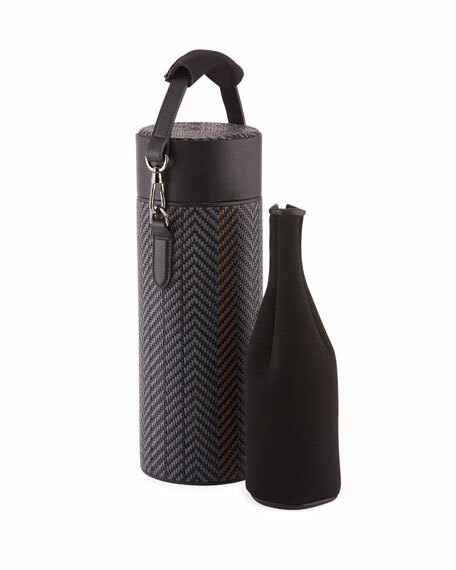 For in-store inquiries, use sku #1905730. 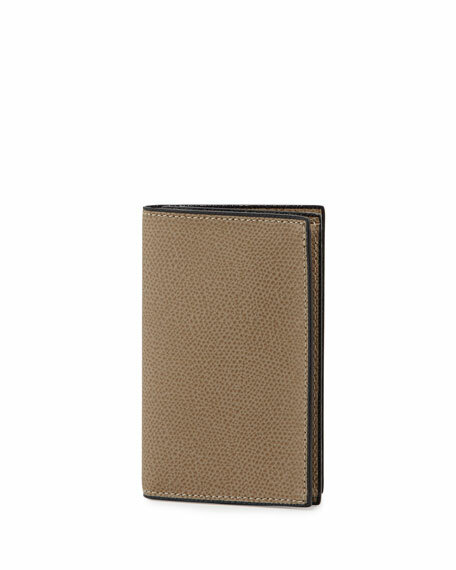 Bally card holder in smooth calf leather. 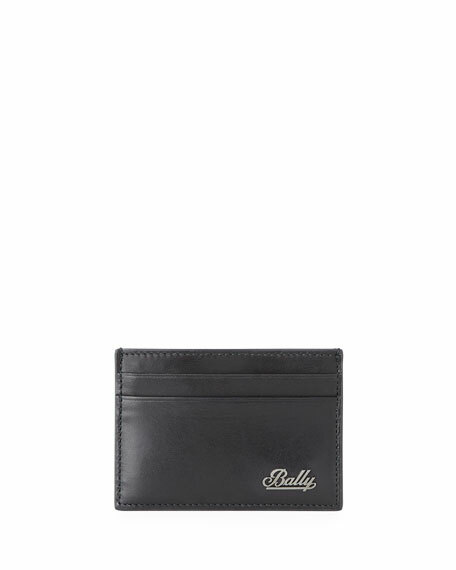 Metallic Bally signature on front. Embossed logo on inside. Four card slots. "Bhar" is made in Italy. 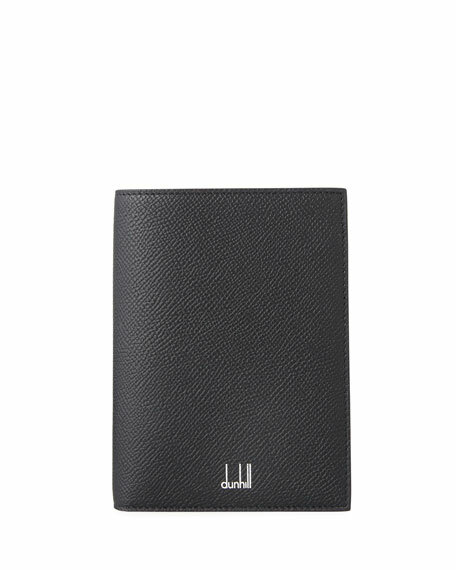 dunhill passport holder in textured Cadogan motif leather. Internal slip pockets. 5.5"H x 3.9"W. Made in Germany.